Using data effectively makes companies insightful, persuasive, and powerful. When data are locked away in endless, crammed spreadsheets, however, it doesn’t feel that way. Each year companies rely more and more on data in order to operate but all too often leave value on the table by not making this important information available (AND usable) for employees. Sound familiar? If so, it may be time to invest in in a BI (business intelligence) tool such as Tableau, PowerBI, or a custom web app. 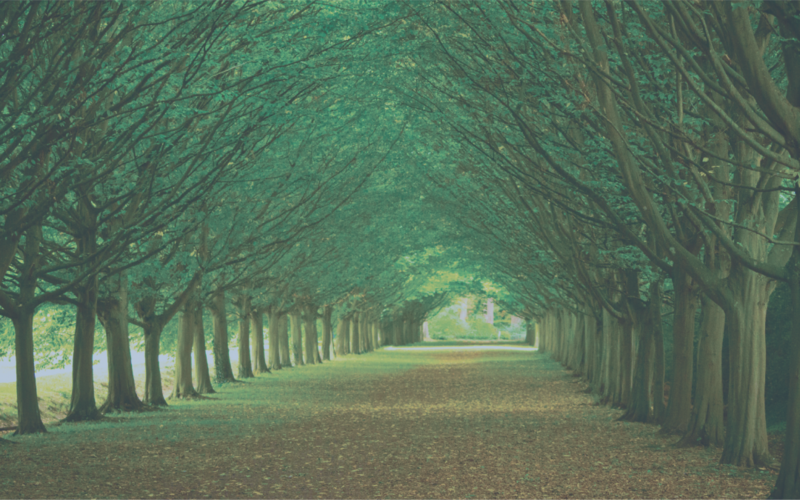 (Want tips on evaluating marketing technology, including BI tools? Check out this tactical tip from Corbae Creative.) Before you start making dashboards galore, follow these suggestions to get the most from your BI efforts. When building dashboards and other business intelligence solutions, it’s easy to create a vision of success that’s all about the dashboard itself: a beautiful, meticulous design; microsecond response times; and custom, effortless interactivity. If nobody uses it, however, none of that matters. The ultimate goal in any BI effort is adoption, and that idea should structure every phase of the project and guide where you put your effort and time. Create a sense of urgency from the start. Explain that usable data make faster, better decisions and that competitors will outperform if the project doesn’t move forward. Find your supporters who will be the first adopters and turn them into project advocates. When the project finally launches, use every appropriate communication tool in the organization to drive adoption (trainings, mentions in meetings, emails, Yammer, Slack, bulletin boards, etc.). 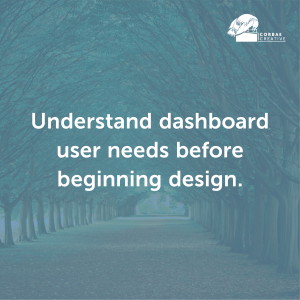 Understanding the needs of a dashboard’s users will support adoption and help make larger design and data strategy decisions. Interview smaller groups in private settings to reduce group-think and encourage engagement from everyone. Start with open-ended questions to collect anecdotal data and expectations, then drill down into specifics. Consider including these on your question list: “What information do you need daily? Weekly? Monthly? Yearly? When was the last time you said ‘I don’t know’ about something important at a meeting? What do you carry when you walk into your regular meetings? What’s the most important decision you make in your role?” Once you’ve collected feedback, use surveys to ask critical questions across a larger group. Go back to highly engaged users throughout the process and test new versions. Once you collect all the needs, wants, and wishes of your users, you’ll need to create structure and prioritize some data over others. One way to do this is to make individual visualizations (a graph, a chart, a map, etc.) answer specific questions and make dashboards either drive action or help make a decision. You may even want to write titles for the visualizations (e.g., “Are website visitors increasing this month?”) and for the dashboard (e.g., “Do we need to adjust our AdWords spend?”) that drive this idea home. When dashboards have a clear outcome or purpose, then people will more likely adopt them and incorporate data into regular decision making. Information that’s fun to see but doesn’t affect anything will be viewed only rarely. Balancing the needs of everyone involved is no easy task and may require including less optimal data requested by a VIP, but following this tip as best you can will help encourage use. It may even help you see that you need two or three dashboards instead of just one. Making data usable isn’t easy when there are hundreds—or millions!—of stored records. Finding or creating hierarchy within your data is a great way of presenting big data without overwhelming your users or your technology. Years, quarters, months, weeks, days, hours, minutes, seconds. This is a natural hierarchy that you can use to organize big data and allow users to explore and find exactly what they need. Region, country, state, city, street, building, suite, room is another. Keep the more aggregated data (years, region) toward the top and consider extracting this data in memory to improve performance. Place less aggregated data lower and only show when the user requests it (by selecting a specific region or year, for example). Store this data in larger databases and deliver only what the user needs in order to avoid performance issues. The colors, fonts, organization, animations, and other design choices made on a dashboard should all help tell a 5-second story to users and encourage them to engage immediately. Take advantage of your company’s branding or design guide, if one exists, to create a recognizable feel. Otherwise, use a simple color palette (neutral or monochromatic) with a stand-out highlight option, avoid color combinations such a red and green, and use at most 2 fonts. Use data hierarchy to guide organization and include only labels and details that help answer the questions asked of the visualizations. When all goes well, finished dashboards are highly adopted. Users understand how to engage within 5 seconds because of the clear design. Visualizations answer questions crucial to the users’ roles, and dashboards empower action. Data feels logically organized, and specific details are easy to find and don’t cause performance issues. Although making highly adopted dashboards requires thought, preparation, and plenty of work, the results are worth the effort. Dashboards that users view once a year, if that, will be forgotten. Dashboards that become a regular part of users’ workdays can take a company to the next level.